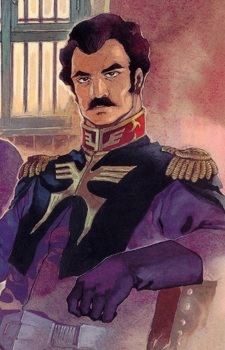 Ramba Ral was the son of Jimba Ral, longtime friend of Zeon Zum Deikun. One of Zeon's finest pilots, Lieutenant Ral was regarded as a genius tactician and was one of the Earth Federation's most formidable foes. Despite his skills, he never lost his compassion and has become the archetype for the Gundam universe's long string of "friendly villain" characters.